Valentine’s Day is coming and we’re always pleased about that. 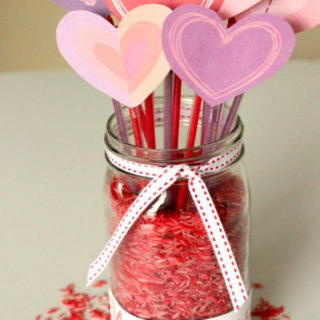 In fact, we’re not sure there’s a single thing about Valentine’s Day that we don’t like! 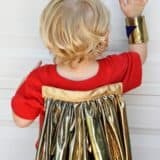 (Unless you are single, of course) One of our favourite things about the holiday, if we’re being honest, is that adorable little winged character that captures everyone’s hearts each year: Cupid! 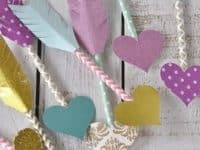 As always, we usually turn out favourite seasonal things into crafts and DIY projects, so we’re sure it comes as no surprise to you that we’ve got a Cupid themed crafting list! 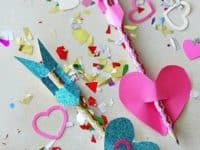 Check out these 15 adorable Cupid themed crafts that are perfect to make with your kids during some fun seasonal DIY this Valentine’s Day! We have always adored novelty paper straws that feature cute little patterns and fun colours. They add a little bit of personality to any drink when you host events, but even more than that, they’re also versatile little DIY tools. 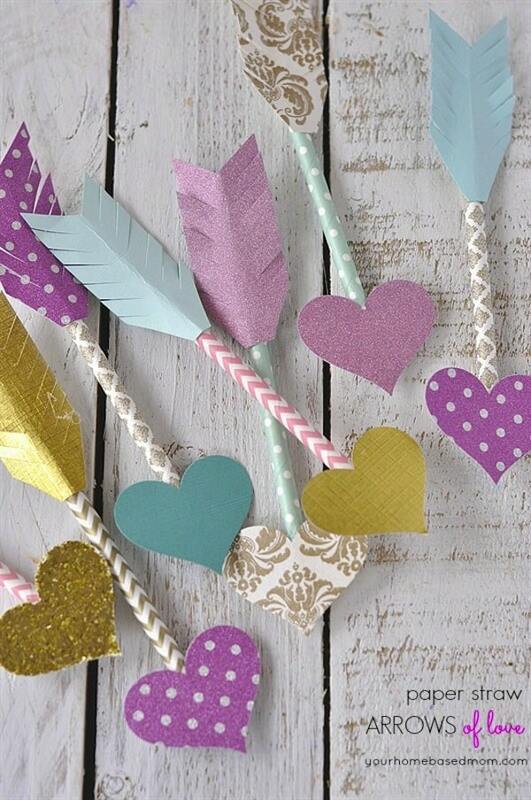 These cute Cupid’s arrows, made from graphic paper straws and fun crafting paper cut into shapes, are the perfect example! 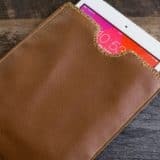 See how they’re done on Your Home Based Mom. 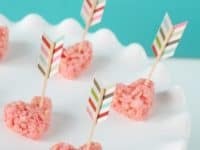 Do you like the idea of making cute little “Cupid’s arrows” but you’re not sure the people your kids want to give Valentines to will really appreciate the prettiness of the fancy straw? 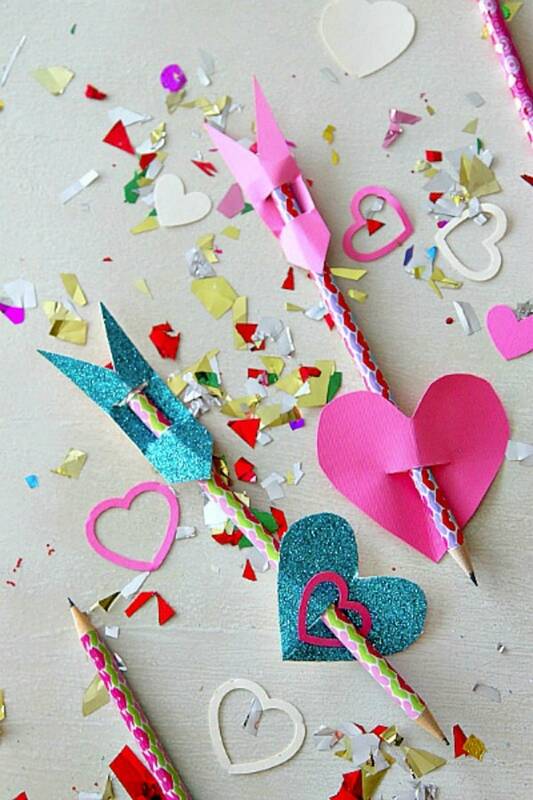 Make them an arrow out of something they’ll actually use by sliding your cut pieces of fancy paper alone a Valentine’s Day themed pencil instead! See how it’s done on Mom Dot Com. If you’re going to make arrows with your kids, they’re going to need places to put them as they play! That’s why Mommy’s Bundle decided to make an adorable matching quiver. 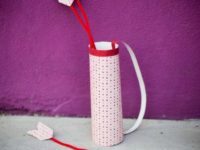 Check out their tutorial to see how they made a quiver complete with a carrying strap from a simple empty tube of paper towel. 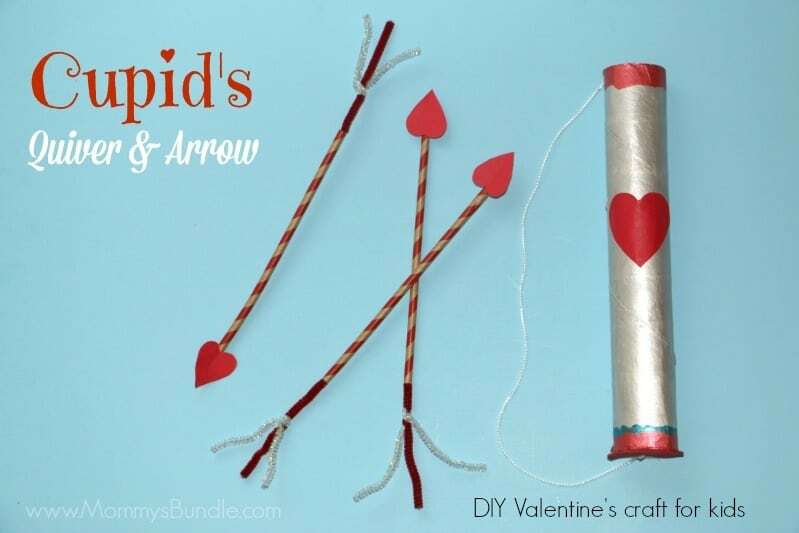 Do you love the idea of making Cupid’s arrows with your kids, but you’re not fond of the idea of them having sticks to poke each other with, even if they don’t have a bow to actually shoot them? 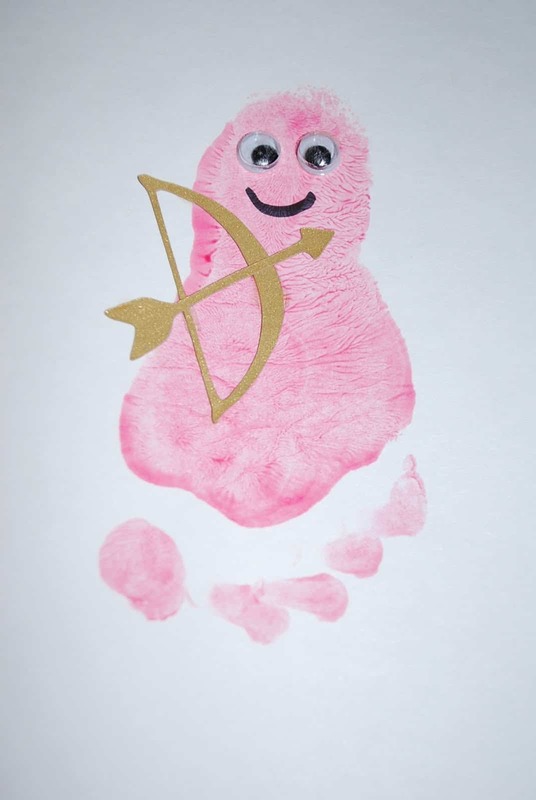 Here’s a softer version of the same arrow and quiver craft from A Night Owl. 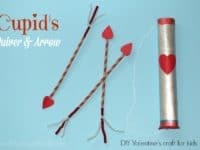 We love the way the heart-shaped points, feathered ends, and quiver all match! 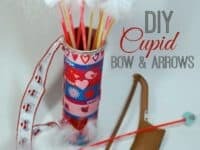 This cute Cupid’s arrow craft is an awesome way to craft with quite a few unconventional materials that will get your kids really excited about DIY time that day! 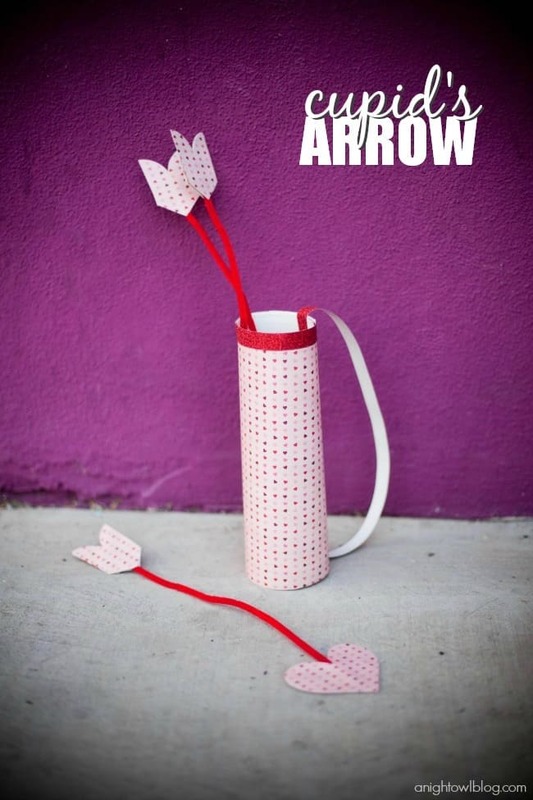 Not only do these arrows feature feathers, which are always fun to make things with, but they’re also made of glow sticks! 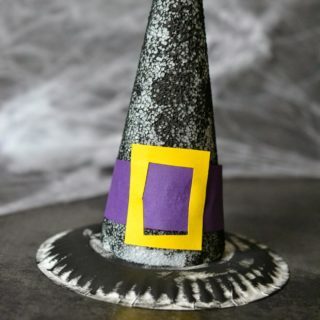 Besides that, the arrow is made out of a painted plastic coat hanger, which is something your kids probably don’t get to craft with very often. Check the idea out in more detail on Plucking Daisies! 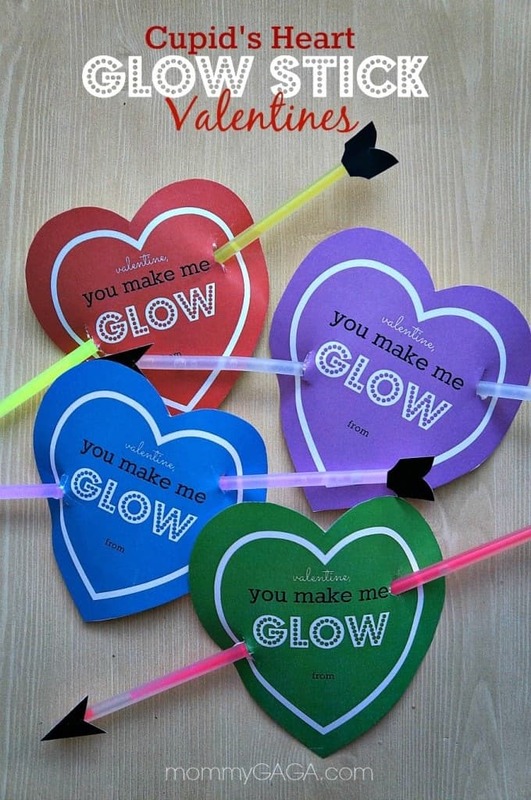 Do you love the idea of crafting with glow sticks so much that you’d actually like to create Valentine’s cards so other people can enjoy the cool idea with you too? 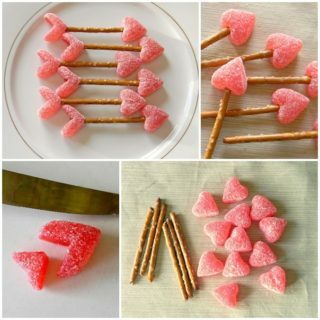 Then check out these little hearts from Honey and Lime! 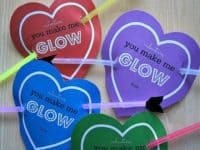 After all, what’s better than a Valentine that literally lights up your day? 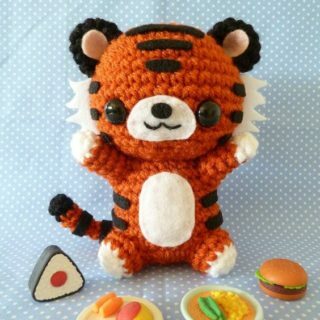 One that’s accompanied with a great pun, of course! 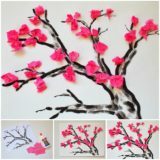 Sometimes you need a DIY that’s still created by you, but that’s fairly quick to do and easy enough to make it worth recreating a large number of them for your office or your kids’ classrooms! 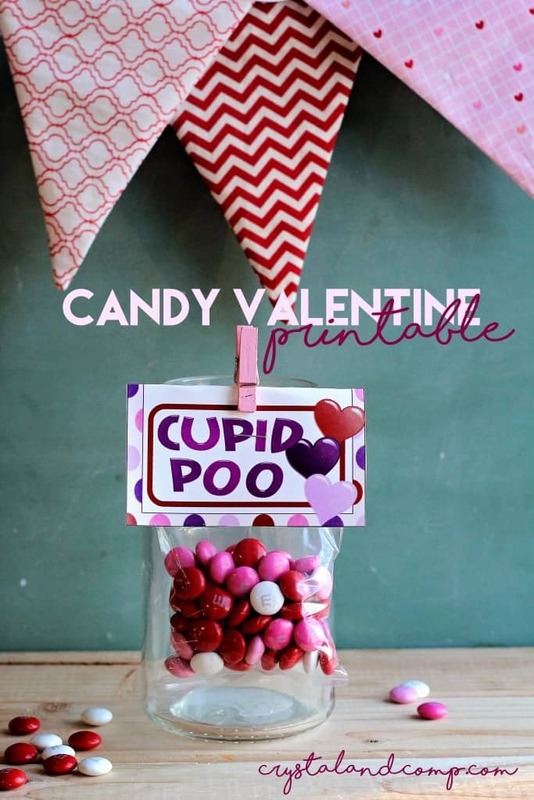 That’s where handy little printables like this “Cupid poo” label from Crystal and Comp come in. 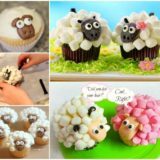 It’s an easy way to give the people around you a simple treat that’s still customized to show you care. 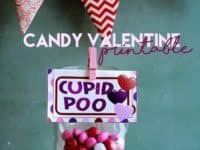 Maybe you’re a huge fan of the Cupid’s arrow idea but your favourite kind of Valentine’s Day craft is the kind that take advantage of how many candies and treats are available around this time of year? 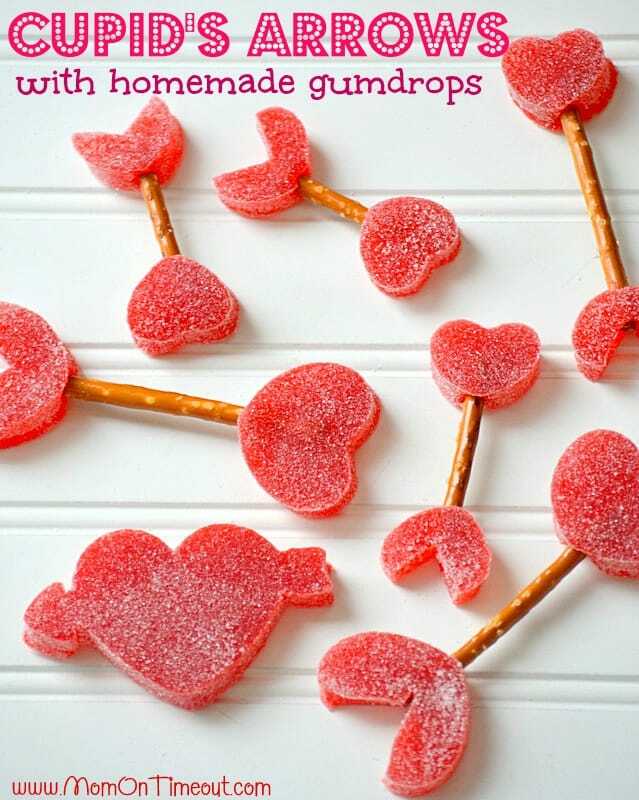 Then try combining sweet and salty flavours in the perfect way by making arrows out of pretzels and homemade gumdrops! 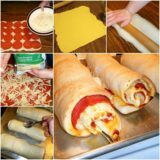 Mom On Time Out has the recipe for you. 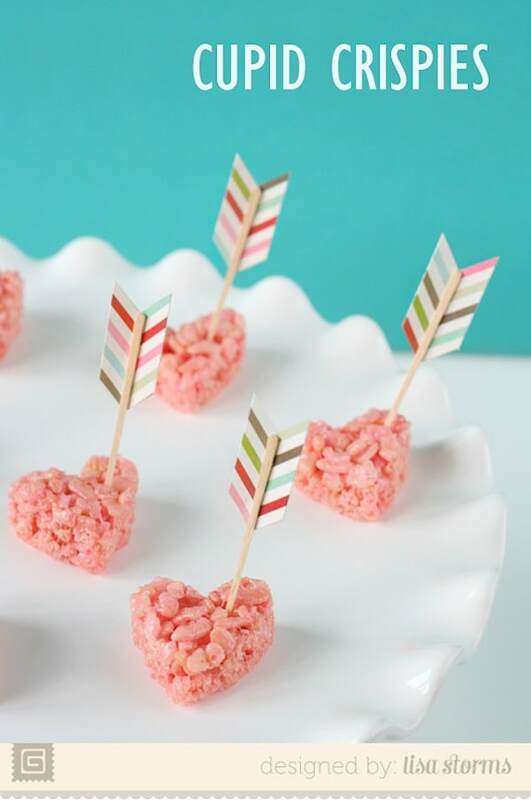 Rice Krispy treats have always been one of our very favourite treats. 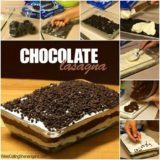 They are, after all, the perfect combination of crunchy and gooey and the marshmallow sweetness is almost too much to resist. 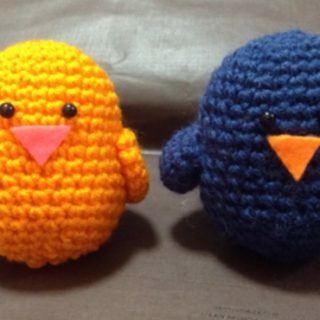 Besides that, however, they’re easy to cut into cute little shapes! 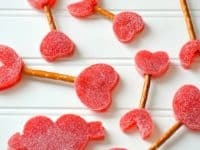 That’s why we loved these little heart-shaped treats by Basic Grey with little toothpick Cupid’s arrows sticking out the top of each one. During a season that’s so chalk full of sweet treats, delicious baked goods, and candies everywhere your kids go, it’s nice to try and encourage them to eat some fruit sometimes. 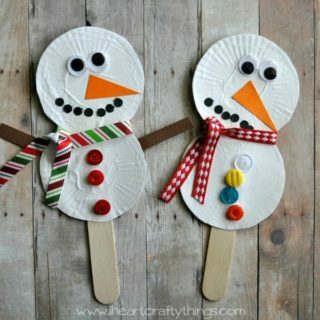 Kiddie Foodies suggests doing that by cutting their fruits into creative seasonal shapes! 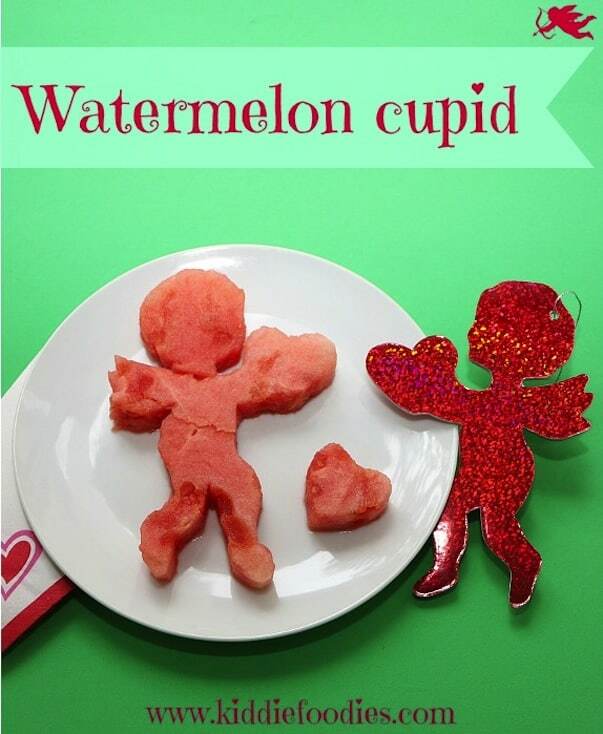 We love the way they made this little Cupid silhouette out of watermelon. 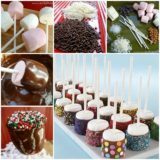 Do you like sweet things but you find that sweet foods make you feel a little heavy if you have too many? Try making yourself a fun Valentine’s Day drink instead! 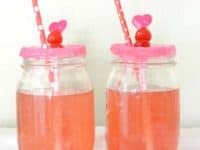 This Cupid themed juice is a great compromise and, because it’s non-alcoholic, it’s also an awesomely fun DIY drink to make with your kids for dinner this Valentine’s Day. Check it out on Sunshine and Hurricanes. 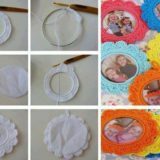 Do your kids love nothing more than getting their hands dirty during craft time? In our house, the more hands-on things are, the better. In fact, our kids are usually quite happy to whip off their socks and shoes and get their feet in on the action too! 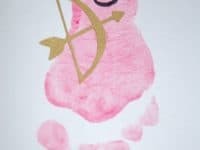 We actually made Gallamore West‘s footprint Cupid idea, sticking our feet and toes into pink paint, stepping onto a blank piece of paper, and gluing on embellishments, and they were a huge hit! You’ve probably heard of gingerbread houses, but you’ve also probably had enough of those in recent months following the Christmas season. 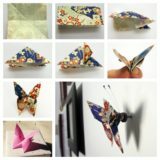 The idea of decorating little houses in fun, cute ways, however, is a lot of fun, so Inner Child Fun shows you how to build a similar thing out of paper and cardboard instead! 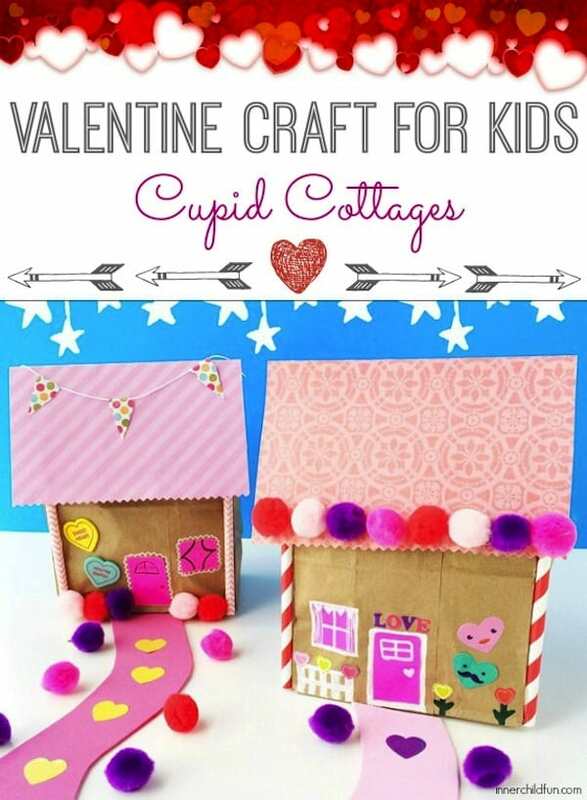 Use Valentien’s colours and heart shapes to make them look like Cupid’s cottages instead of the home of the gingerbread man. If you live in a chilly Northern place, then Valentine’s Day is probably still pretty chilly and covered in snow even though Christmas has passed. 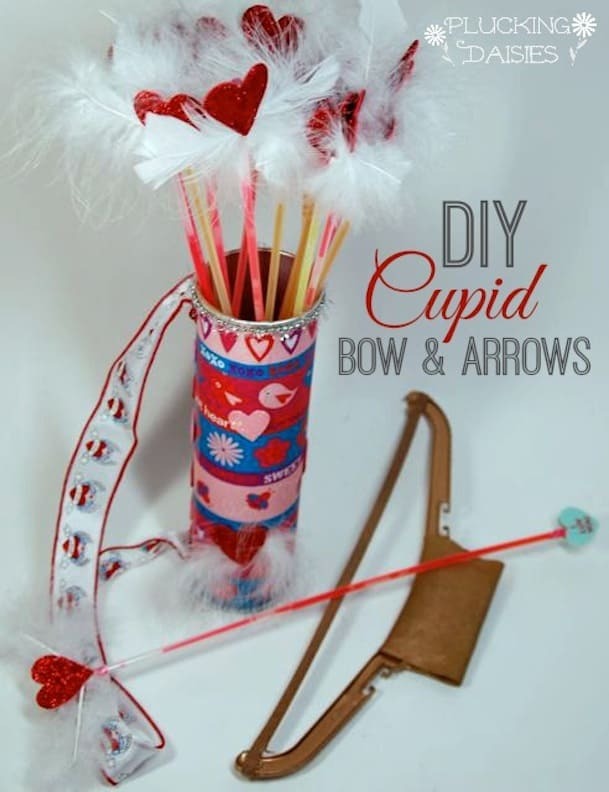 That makes this next Cupid craft suggestion particularly relevant for you! 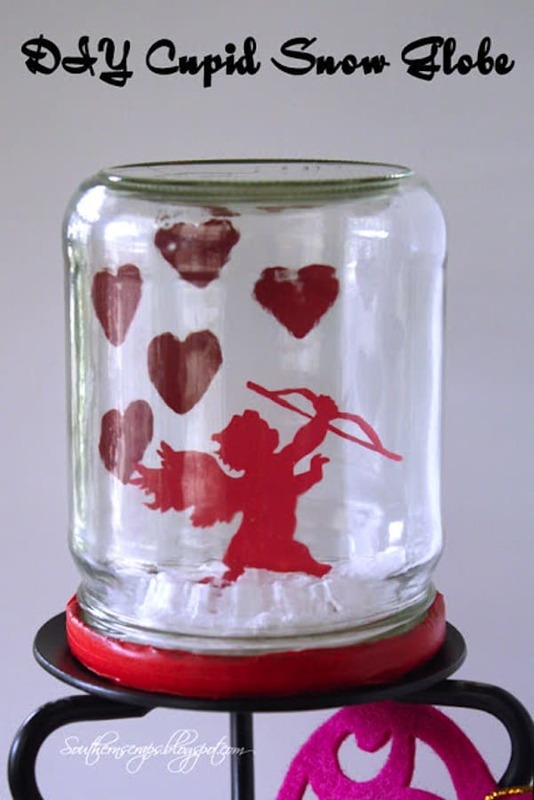 Southern Scraps guides you through the process of making a snow globe that, instead of showing a Christmas scene inside, shows Cupid and his little bow surrounded by a smattering of tiny hearts. 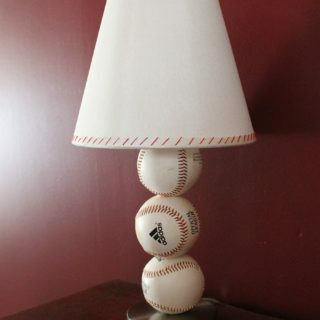 The scene is pure whimsy when you give the globe a shake. 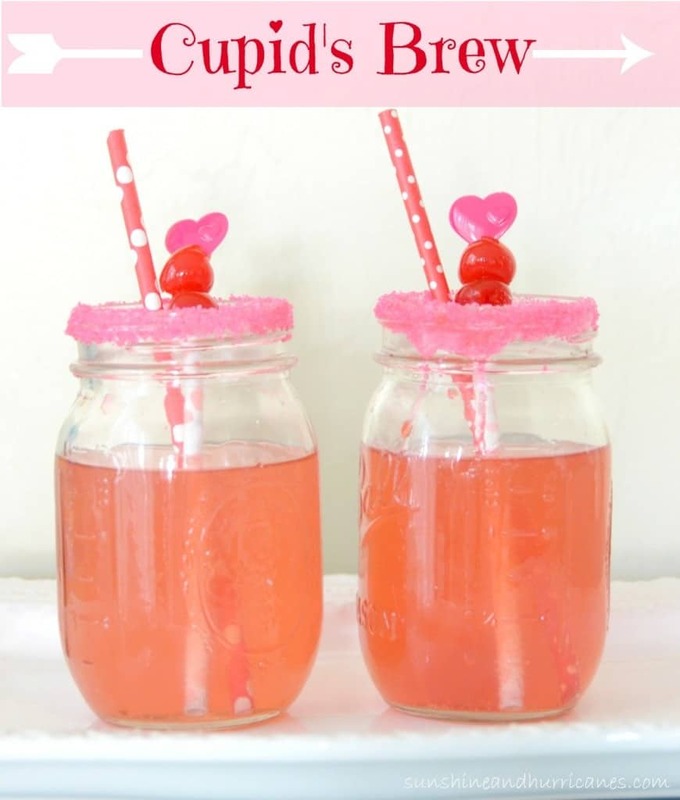 Were you intrigued by the idea of a Cupid themed DIY drink, but you’d rather something that makes a bit more of a treat in itself rather than just making a sugary juice? Then check out this full on Cupid ice cream float! 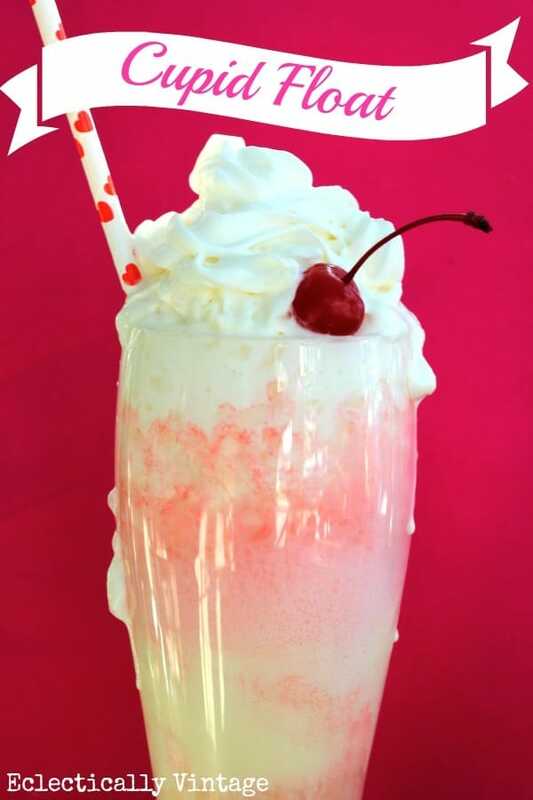 Kelly Elko shows you how it’s made, complete with a generous swirl of whipped cream and a cherry on top! 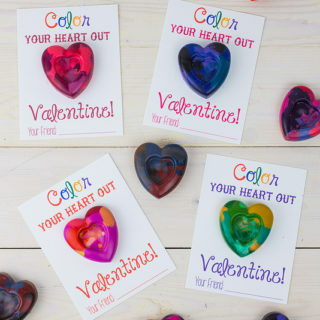 Start right now and celebrate this year’s season of love in style!